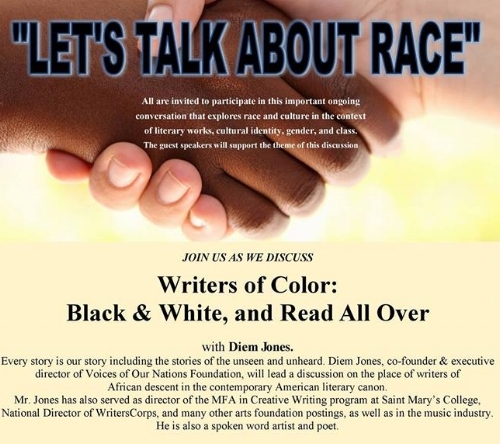 This month we welcome Diem Jones, spoken word artist, poet, fundraiser, and producer, to discuss Writers of Color: Black & White, and Read All Over. An open and honest dialogue is encouraged which generates enlightening and informative exchanges. This program is free and open to the public.